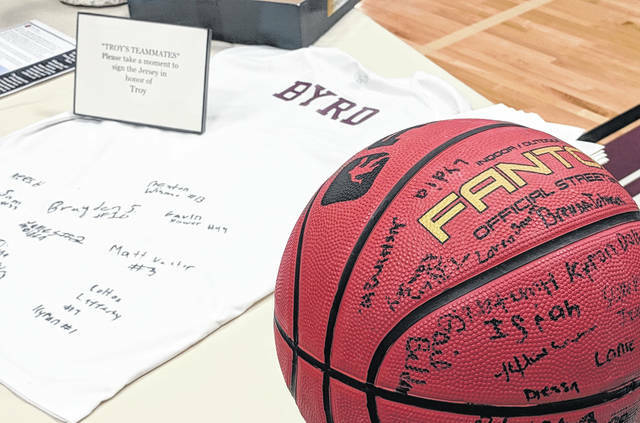 Honoring Troy’s love of basketball, well-wishers entering the gymnasium signed a ball and his teammates signed a jersey to commemorate his life. 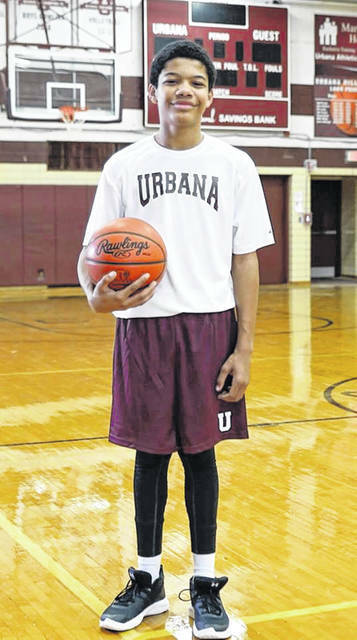 Hundreds of people passed through the Urbana Junior High School gymnasium during visitation hours and many stayed for the memorial service dedicated to Troy Byrd on Friday. Urbana City Schools cancelled classes so that classmates and friends had an opportunity to mourn. Troy Byrd’s teammates on the sixth grade travel team share memories of their time with Troy. Most of the recollections featured Troy’s enthusiasm and uplifting personality: Dancing in the locker room, cracking jokes and always beaming with a wide smile. Troy Byrd is pictured in this file photo from a happy day on the basketball court. How do you measure the quality of a life? Is it the number of years survived? No, it’s more likely the number of lives touched, the number of smiles plastered on faces of the people who meet you, the number of hearts grieving when you’ve left. By those metrics, Troy Byrd lived a good life. 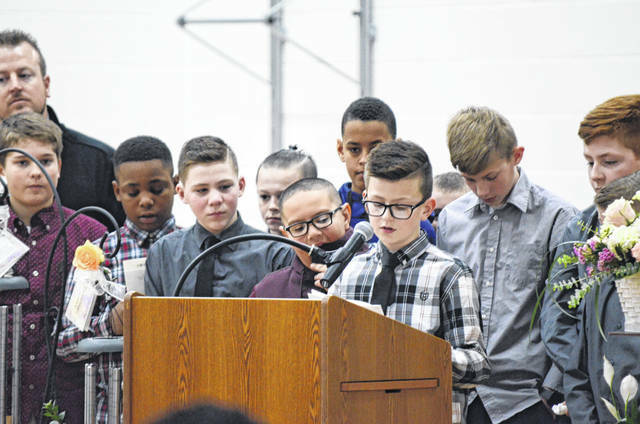 Hundreds of people packed the Urbana Junior High School gymnasium on Friday to pay respect to Troy, his family and his memory. Urbana City Schools cancelled Friday classes so teachers could pay their respects and students could attend their classmate’s memorial services. It was a celebration of sorts, albeit one with somber undertones. Speakers encouraged those in attendance to remember Troy and his legacy with one of his trademarks: a smile. Troy Byrd died on Jan. 26 after suffering what was, according to Champaign County Coroner Dr. Joshua Richards, likely a sudden cardiac episode while playing basketball at the YMCA. He was one day shy of his 12th birthday. On Friday, his teammates took to the podium to share fond memories of Troy and to supply his family with mementos of their time together.